The most harrowing volume yet. At last, we have reached the final hour in The Promised Neverland. Following Mom’s shocking proclamation that closed the previous volume, our young trio is left reeling from the aftermath: Emma’s leg is broken, Norman is set to be shipped out as food, and even the normally-composed Ray is at a loss. The clock is ticking, and with a noble sacrifice lessening their ranks, the children are forced to accept the same soul-destroying reality Sister Krone discovered in her final moments: they never had a chance at escape. All they can do is live out their false childhood at Grace Field Orphanage, helplessly watching their fellow children get delivered as demon fodder until it’s their turn. Or…will it be? 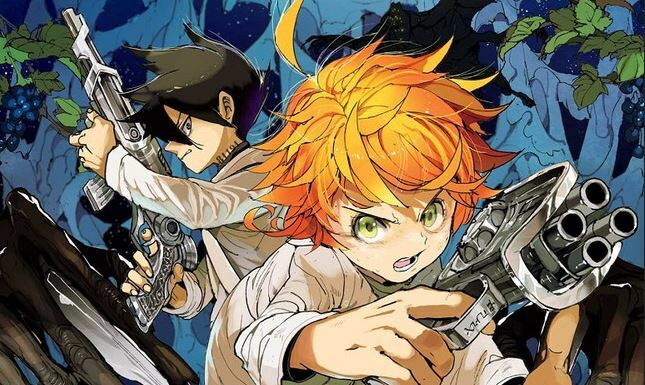 Yes, we knew by now our heroes wouldn’t truly give up (if only in that it would make for a pointlessly grim ending), but in true Promised Neverland fashion, much of its story beats depends on feints that, almost without fail, bowl us over in their out-of-nowhere ingenuity. 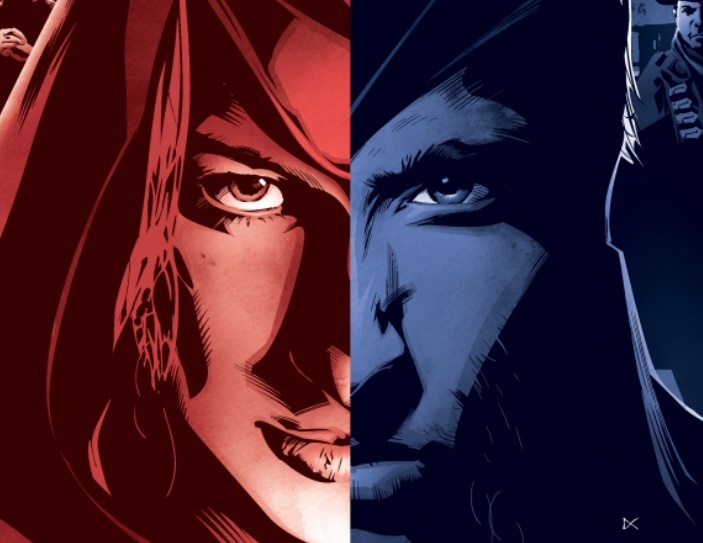 And yet again, that brings me to a certain problem I’ve previously expressed about writing reviews for this series: as so much of the cat-and-mouse play depends on chapter-ending twists, it’s difficult to dive into specifics without spoiling anything. This has never been more true than with Volume 4, which undoubtedly possesses the largest number of sequential twists thus far in the series — with my aim of only disclosing such story elements in reviews for following volumes (all for the sake of granting context, as you see in the opening paragraph above), I’m left in a pickle. 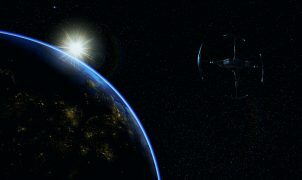 The solution, then, is to talk around them and discuss what these developments mean for our protagonists. 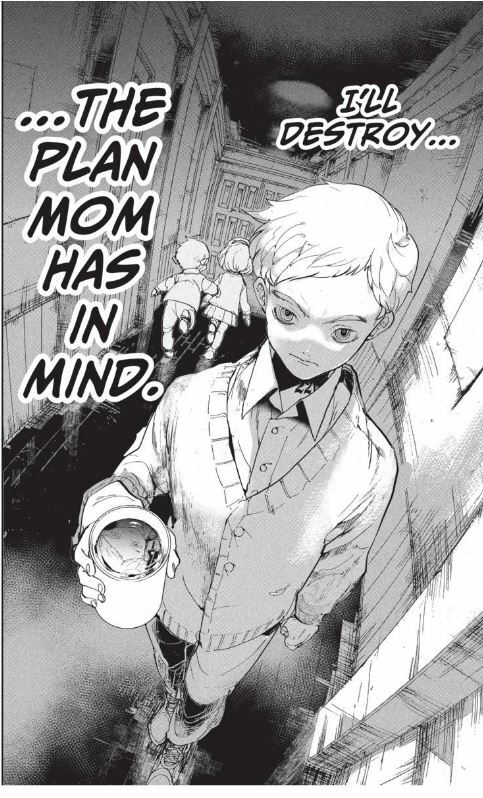 As implied earlier, this is a turning point for The Promised Neverland in that the gears finally begin turning for the goal outlined from the very first chapter: escape from the farm. However, not even mid-way through this volume do we recognize not everything will go according to plan: tragic concessions must be made for the plan to work in any capacity, and there’s no alternative for the kids but to instantly adapt, heart-wrenching as it may be. 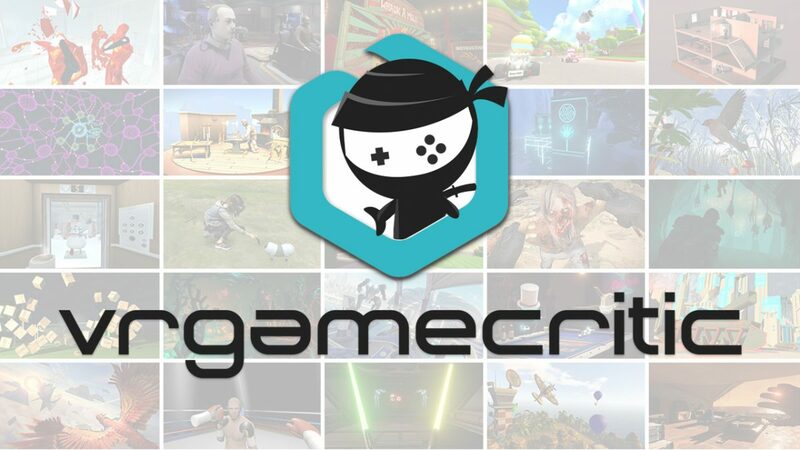 It’s then we recognize the importance of these characters functioning as team. Emma’s idealist approach is the one that we, as readers, want to see come true, but the developments of this volume render that impossible, leading to the choices Ray and Norman are forced to take. Not all of these choices come to full fruition, but with those aforementioned developments being what they are, we recognize Norman’s conviction and Ray’s pragmatism are just as equally important, and that’s how we arrive at this volume’s final page. For now, perhaps Emma’s idealism isn’t the correct answer, but that doesn’t mean her wish cannot ultimately come true. The cogs begin to turn individually. 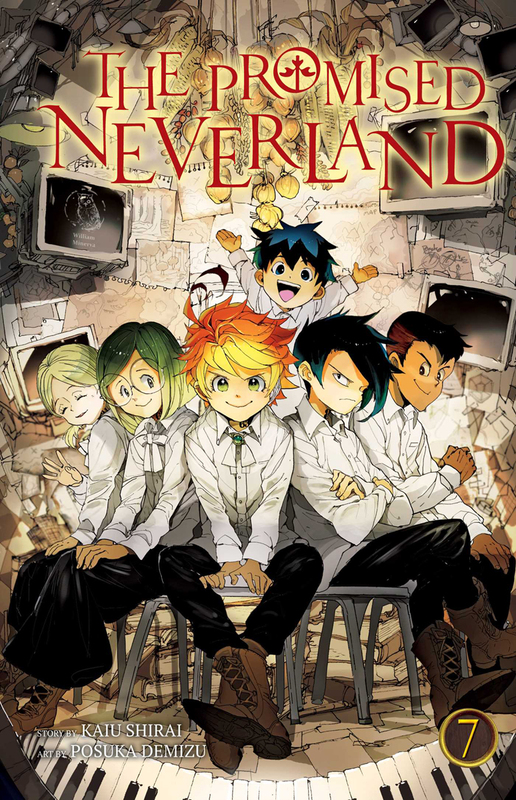 Still, much as I hate to do so, that brings us to what’s maybe the volume’s only misstep: let us not forget that The Promised Neverland has required suspension-of-disbelief from the very beginning. Mind you, this isn’t referring to the actual set-up, but in that we must simply accept these three 12-year-old geniuses are capable of such elaborate plots and epiphanies. 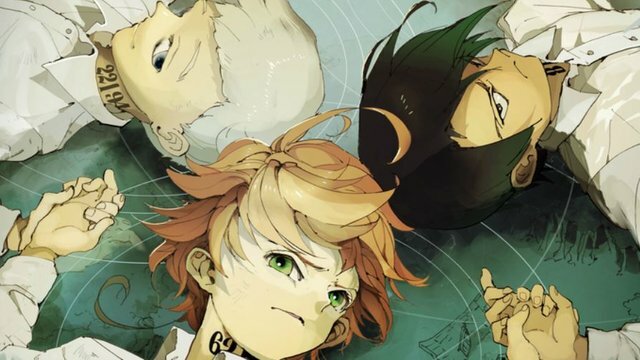 However, with such a hefty amount of back-to-back twists, it remains the only time The Promised Neverland struggles to maintain that illusion — that I’m including everything up to today’s Weekly Shonen Jump chapter speaks to writer Kaiu Shirai’s talent, but in this volume exists the only twist that comes across as being, well, dumb (I shan’t spoil it, but let’s just say it involves a fetus). Thankfully, it is perhaps the least relevant revelation of all, but that only begs the question of why it must exist at all. As always, the true star lies within Posuka Demizu’s art. There may not be any eye-popping demons present, but the young countenances of despair, desperation, and fear have never been more raw than they are here. Considering the context, this is only natural: Volume 4 is a never-ending horror-themed roller coaster, and such imagery must remind us none of the characters are ever truly safe. Even our lone refuge in a heartwarming embrace is betrayed only one chapter later, proving that anything occurring on the grounds of Grace Field is but a false, heartbreaking reality. Needless to say, this is The Promised Neverland at its most dramatic yet. Not that the stakes weren’t ever raised previously, but even when it doesn’t properly juggle all its twists and turns, it successfully manages to leave us mentally exhausted. Even considering what goes on down the road, I struggle in recalling anything as consecutively brutal as this. If you haven’t already caught up on what’s probably Shonen Jump’s best running manga, what are you waiting for? This review was based on a review copy provided by VIZ.